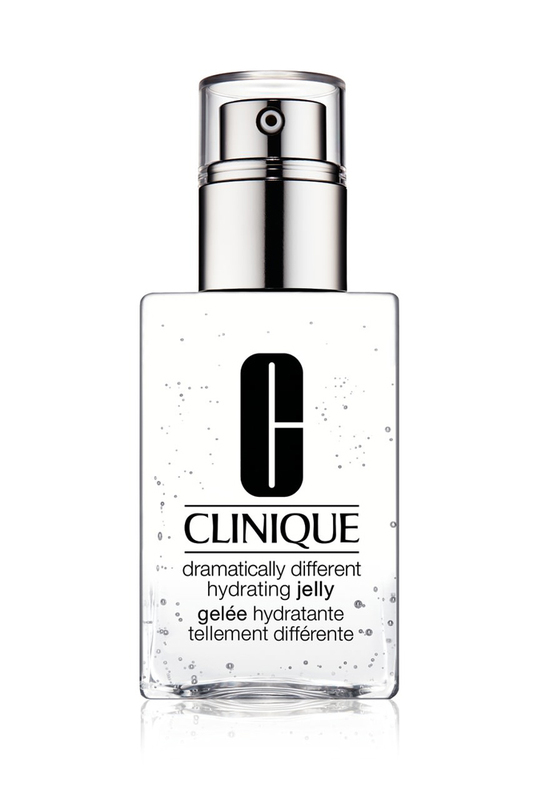 Clinique Dramatically Different Hydrating Jelly is a lightweight, water-jelly moisturiser that delivers 24-hour hydration repair plus pollution protection. It helps to strengthen skin’s moisture barrier and improves resiliency. The unique water-jelly texture feels fresh, penetrates quickly and is oil-free, non-sticky and leaves no residue behind. Skin is left smooth, strong and healthy with a pure, clean glow. This moisturiser is light weight, fragrant-free and hypo-allergenic, that absorbs quickly into the skin. I've been using this hydrating jelly for the past few months and it has honestly made an improvement with the overall feel of my skin, which is now feeling softer and healthier. I also really love that the packing is clear and that it has a pump, as it just makes it much easier to get the right amount of product out. I would definitely recommend this hydrating jelly to anyone and everyone, especially those who have dry and sensitive skin. Im fairly new to Clinique and recently purchased this item (with the clinique ID range) and so far I am loving it! My skin is so fussy and changes throughout the day and is definately effected by enviromental factors. I wanted to find a good moisturiser and fragrance free is important to me - I first tried a sample of this and wasnt blown away. However when I stopped using the sample, I noticed that my skin seemed to struggle throughout the day, my oils in my t zone were worse and my dry patches more dry and fine lines more clear. Loving the classy colours of the packaging for this product - it looks so cool in all it's translucency and with the splash of silver metallic print for the C and word Clinique on the tube. The whole tube is translucent including the cap and also the formula itself which is crystal clear. The product is simple - it's a lightweight moisturiser that is in the form of a jelly. I love that it's anti-pollution too. It's good to use and after around a minute or so it is tack-free similar to any good moisturiser I suppose. So once it's sunk in to my skin then I like to apply a primer-like product and then a light make-up. So it gets used just like a regular cream moisturiser except this one is lighter so even oily or problem skins can use it. I expect when I introduce this to my teen daughters they will like this a lot as they don't like moisturisers as they find them too heavy generally. They don't like the feel of regular moisturisers on their skin so this one may be for them. They both have oily skin but I also have dry and ageing skin so after I put this on all over my face, including my eyes areas, I then like to apply a separate eye cream on top - but I do tend to do that anyhow no matter what moisturiser I use. All in all, this one is worth a try - it provides good hydration for the skin, a lightweight feel and a fun clear formula which feels and looks clean. This is such a light watery moisturiser, you have to be careful otherwise it will just run out of the tube! I only need a pea sized amount it spreads so smoothly. It absorbs immediately and leaves skin feeling hydrated but not sticky or tacky at all. Impressively enough, this lightweight gel keeps my skin moisturised all day. The small tube is perfect for travel or just trying out the product. And it has a flip top lid which is so convenient. And it has no scent! This is just perfect. I have been using the Clinique Dramatically Different Jelly Moisturiser for almost 3 weeks now. Originally, I was intrigued by the consistency of this product. Not going to lie, I’m definitely a sucker for anything gel like and this product caught my eye. After receiving a sample, I was still undecided on the product but ended up buying the product anyway. I really wanted to give this product a chance! I love that this is fragrance free and suitable for sensitive skin. I love the consistency of this product and the fact that it doesn’t leave a heavy residue and absorbs quite quickly into the skin. Honestly, this product alone isn’t hydrating enough for my dry/dehydrated skin. I have managed to make it work by applying a heavier moisturiser underneath and then applying this on top. This doesn’t bother me, and I do like the finish it leaves on the skin however it can be a little more time consuming. Overall, I’m still undecided on this product. I love the finish it leaves and the fact that it doesn’t feel heavy on the skin. It also provides a subtle glow which is nice for no makeup days. Due to my skin type, I can’t apply this product alone considering it just isn’t hydrating enough. To provide the hydration I need, I have to pair this product with either another more emollient moisturiser underneath or mix a hydrating booster or serum into it. I picked up a sample of the Clinique Dramatically Different Hydrating Jelly recently as I'm a fan of the Dramatically Different Moisturising Lotion+ from the brand. The Hydrating Jelly has a really interesting light, loose gel texture that when applied to skin, melts immediately and almost becomes like water. Because of this, the product can be massaged onto the skin with ease and it immediately absorbs, leaving no residue on the face at all. There are no issues applies makeup on top of it either. After application, my skin felt smooth, soft and hydrated. However, this formula isn't as hydrating or long lasting (in hydration) compared to the DDML+ so I think this would be a great Summer moisturiser for those with a normal-combination skin type. I'd definitely be interested in re-trying this product in the warmer months but right now, I'm looking for something a bit more hydrating for Winter. I received a couple of samples of this new Clinique moisturiser including a deluxe sized one recently. It's always exciting to try a newly released variant on an old classic and I was hoping that it would be good for my skin type. I've used the original Dramatically Different Moisturiser off an on for many years and quite like it (especially the new improved version) but I'm not sure that the jelly is really for me. It is a clear, lightweight gel that is mildly hydrating and gentle on the skin. It doesn't have a scent really and is non-greasy. I like that it protects against pollution by providing a barrier. It is also quick to absorb. However, my skin is really dry and I don't really find this hydrating enough. It would be great for anyone with oily skin I think but for aging, dehydrated skin it's not strong enough. The sales assistant told me it could be used as a treatment product under another Clinique moisturiser (although not the original DDML). So I think I'll use it under my Moisture Surge so I can have pollution protection as well as adequate hydration. Overall good but best for young or oily skins I think. I was given a small sample size of this to try at home. It is lightweight gel that absorbs easily into your skin and boosts hydration. It would suit combination to oily skin types. You can easily layer other moisturisers or a sunscreen on top of it without issues. However, looking at the ingredients, I cannot recommend it for the price. It is a basic Hyaluronic Acid product with a few natural plant extracts thrown in. There are cheaper and effective products around that boost hydration - Neutrogena HYDRO BOOST Water gel ($25 for 50g) has a similar texture and also has Hyaluronic acid, and Hatomugi Skin Conditioner ($12 for 180g) also has natural hyaluronic acid in the form of Job's tears extract. Oh, not to mention the Aldi Lacura Hyaluronic Gel + Peptide which is $10 for 30ml! Check out Neutrogena HYDRO BOOST Water gel and Hatomugi Skin Conditioner instead. The Clinique hydrating jelly moisturiser provides 24 hour hydration for your skin while also protecting it from pollution, a big cause of ageing. The bottle comes in the classic Clinique design except this one is clear and silver which looks really sophisticated and expensive. Even though it's a moisturiser to me it looked and felt more like a serum as it was really lightweight and because it was oil free it didn't leave any oily residue behind. My skin is combination but it can get oily so I like to use a moisturiser that will hydrate my skin without leaving it feeling heavy. I do wear makeup after I moisturise so I want something that will absorb right away and make my makeup look good! The jelly isn't thick like actual jelly and has more of a fluid consistency. The pump made it easy to dispense and I could control how much of the product I would want. When I put it on I had to rub it in and my skin absorbed the jelly right away. My skin was hydrated and it provided a nice base for my makeup as well. I liked that it also helped with pollution protection. It's really hard to discern whether it helped with that or not. Is it because of a particular ingredient or is it just the jelly itself that acts as a barrier for your skin from environmental pollution? Nevertheless, I found it to be great as an everyday moisturiser. If you have normal to oily skin this would be great for you! I had no adverse reactions and it made my skin feel soft and smooth and perhaps even a little plump. DDHJ is a super lightweight hydrating water-gel cream, but it is not occlusive enough to effectively operate as a sufficient moisturiser on its own. The formula is a thin-low viscosity, so I liken it to, and have been using it as, an essence/serum. The moisture retention is actually sub-par compared to Clinique’s Moisture Surge Hydrating Supercharged Concentrate. You're better off with the latter if your skin is parched. I quite enjoy its otherwise fairly basic hydrating properties and it proved a perfect companion in sweltering hot weather when I was overseas. Upon application, the formula cools immediately upon contact and gives skin an actual quenched sensation. As pictured, DDHJ is clear without the addition of colourants but does have a barely detectable scent that I think smells a bit like coconut water. This scent dissipates almost instantly. There is also an oil but it's actually a water-soluble silicone wax (bis-PEG-18 methyl ether dimethyl silane) that has emollient properties. In relation to Clinique's claim of warding off the effects of pollution, the formulation lacks antioxidant-rich ingredients which would otherwise have been effective weapons against environmental aggressors and pollution.  In fact, the formulation banks its antioxidant value solely on brown algae (Padina Pavonica, a.k.a. "Peacock's Tail"). 2-3 pumps should be sufficient coverage at any one time. When I apply this moisturiser it is like a breath of fresh air, it is incredibly lightweight and absorbs really quickly which is fantastic because I'm pretty lazy and often can't be bothered waiting around for moisturiser to absorb. I have been using this moisturiser for a few months, and I can't really say how it protects from pollution but my skin is healthy, and I have noticed an improvement in my skin since using this product. I have normal skin and I would recommend for people with similar skin types. It may not be moisturising enough for people with really dry skin.